I don’t understand the politics of it. I may be mistaken but I think I saw a picture somewhere of a gohonzon Ikeda inscribed, a golden one apparently he keeps only in his office. This made me wonder: why doesn’t SGI use a gohonzon inscribed by Ikeda? The Mandala Workshop folks propose that SG intends to update the usual gohonzon image to be a copy of Mr Ikeda's personal gohonzon. I have no info on if he inscribed it personally or not, but I'm quite sure the Mandala Workshop folks would not hesitate to call out such a novelty but they make no such claim from the material I've read. Apparently SG also has a copy of another Taisekiji gohonzon (IIRC a copy of an original Nichiren) that is subject to a shortly expiring copyright, so that is another candidate for an updated general-issue gohonzon. Honestly, I wish he would, or that SG would come up with their own gohonzon. I don't mean it out of any animosity toward SG or its practitioners, but I think it's an important that the "divorce" be finalized. Given the importance of the gohonzon, this is an important step. I nearly turned away from Nichiren Buddhism because of all the negativity and bickering. Both sides would do well to "move on", at least for the sake of new practitioners. That is exactly what motivated me to ask the question. You would think that given the animosity between the two groups, Soka Gakkai would inscribed its own Gohonzon and be done with it. I am so happy that you now finally have the Gohonzon-sama enshrined in your home. 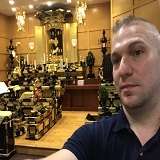 Please visit our main headquarters in Hodou-in Temple in Tokyo someday so you can also meet other international Hokkeko members who are living in Japan and practicing Nichiren Shoshu Buddhism. It is definitely a sticking point on the Shoshu side. At the temple, SGI isn't talked about a whole lot unless it's relevant to a discussion at hand, but when it happens, there's a good chance it'll be pointed out that they still copy "our" Gohonzon. So yeah, it bothers folks. The reality is that Shoshu and SGI will have to coexist. Some are going to be drawn to Shoshu; others to SGI. We have a pretty steady flow of new members joining the temple, but I imagine SGI will continue to draw those that avoid religiosity and clergy in general. I get that. Being a new generation Shoshu myself, I'm content to just know the history and make my own call and otherwise move on. I'm optimistic that newer generations will probably feel the same way. But yeah, the Gohonzon matter has to go. If SGI can give up the Dai-Gohonzon, I don't see what would stop them from inscribing their own. I'm SGI, formerly NSA- I'd like have the animosity behind us too, but I guess it will take a few generations to fade. As far as Mr Ikeda inscribing his own I think that would be entirely inappropriate, I would not own or enshrine one. It may be there are some who feel such a connection to him they would choose to but such a design would be a large departure from the Nichiren tradition. After the 1st generations of followers very few priests of any of the lineages designed their own, instead all the lineages who created gohonozon copied and/or composed them from elements of others. As far as I know that is the case for the modern SGI gohonzon, perhaps likewise with N.Shoshu as well. There are roles and standards and procedures for gohonzon design. I guess there is nothing to stop anyone from designing their own- including Mr Ikeda, but to do so goes far outside the Nichiren tradition. The current SGI general issue gohonzon was created by ex-Shoshu priests after the schism when all SGI members were encouraged to turn in their NSA gohonzons, so strictly speaking SG already has its own design though the family resemblance and lineage is obvious. N.Shoshu is not often discussed in SGI either, though the official story of the schism and related events is occasionally retold in the publications. Back when I started in NSA, I got my gohonzon from the N.Shoshu temple in Washington, and attended a few weddings there, and at least one New Years ceremony. These days a SGI newcomer would never even know such a place exists, or why. I'm glad N.Shoshu is getting newcomers too, far as I'm concerned the more folks showing up in Nichiren schools of any lineage the better off we all are. I feel this too. When Mr Ikeda dies (or when SGI announce that he has died) could be a massive turning point in the history and potential future of SGI and the Gakkai in Japan, potentially leading to a split. In my more cynical moments I worry that there will be a move to basically beatify Ikeda as as incarnation of Boddhisatva Jogyo and that a new Gohonzon might be a part of that. I hope not. Despite the fact that SGI has rejected the concept of priesthood, I've noticed that they no longer do things that had to be done by a priest or the High Priest back in the NSA days. They don't write their own Gohonzon and they don't perform the Gojukai ceremony (acceptance of precepts/conversion to Buddhism). So maybe they still recognise that these things need the authority of the priesthood, and therefore don't do them. It's interesting that SGI has been likened to Lutheranism in that they were kicked out of the mother organisation (Nichiren Shoshu/Catholic church), yet Lutheran pastors still celebrated the communion (though with a different theology behind it) whereas SGI 1) don't seem to do anything that only the priesthood can do and 2) don't even seem to have an equivalent of Nichiren Shoshu priests (Lutherans still have pastors but don't believe they have supernatural powers like the Catholic church claims their priests do).